This smartly assembled coffee table book is published to commemorate DreamWorks Animation twentieth anniversary. Wow seriously twenty? Of course, comparing DreamWorks Animation to Disney, the former is still a pretty young company but you can’t deny it has already a part of pop culture over the two decades. The 324 pages book covers practically every title DreamWorks Animation has produced and distributed beginning with their first release Antz in 1998 to this year’s Home. It’s a wonderful showcase of over 400 pieces of artwork done by the artisans. Storyboards, sketches, marquettes, environmental art, models and more are featured. It’s largely a mesmerising experience pouring over the delicate details which are mostly done in pencil, acrylic, color paints or digitally rendered. Hopefully you will be more appreciative consider how much work goes to the realization of Po the Panda for example. Especially with stuff which you normally take for granted on the big screen probably takes the animators months and years to complete. Most of the pages also come with commentary text boxes from the filmmakers feeding us with valuable information such as how and why they came up with certain character attributes and design. If you are pretty new to the history of DreamWorks, you will learn that the company actually dabbled in hand-drawn animations in the initial stage with Prince of Egypt and The Road to El Dorado before the failure of Sinbad: Legend of the Seven Seas made CG animation a full reality at the company. Fans might notice that some of the artworks are already featured in the solo making of books but as mentioned earlier in the review, this is strictly more of a tribute title, hardly qualify as a cash-on product. Moreover, the layout is genuinely well-done, lavish and handsomely packaged. A foreword by co-founder Jeffrey Katzenberg is also included. 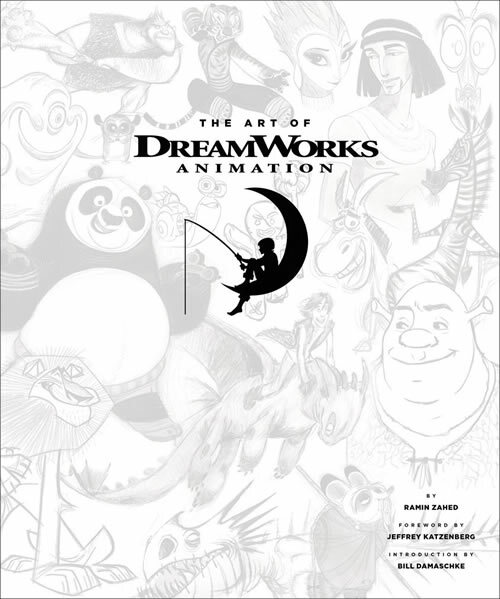 For animation lovers and fans of DreamWorks, this is a recommend title to be owned and display in your bookshelf. On a side note, it costs a hefty SGD$100 at the DreamWorks exhibition perhaps you can try out Amazon or the local bookstore for a better deal.